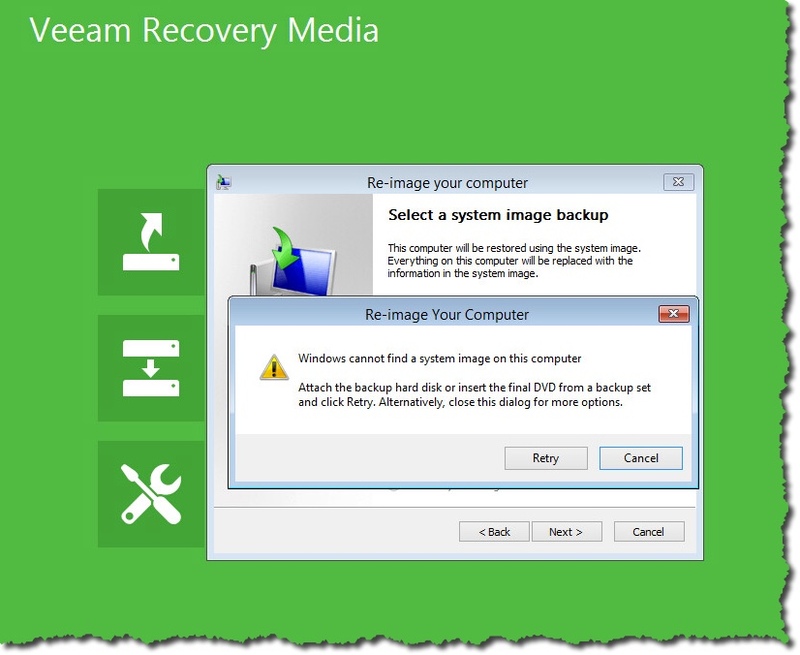 Veeam Recovery Media – you need to check it out! I was talking with one of my co-workers – Clint – and we were talking about the Veeam Agent for Windows 2.0 that is in beta right now. BTW, you can find out more about the agents here, and you can also download the beta bits there too. One of the things Clint mentioned was the Recovery Media. I used to build something called BartPE to help with system restore (and other things), and then Windows had something you could boot too (from a CD or USB), and then both Symantec (Norton) and Symantec (Backup Exec) had bare metal recovery media. Since I have worked with all of those – often with pain / frustration and stress involved Clint thought I should check out this Windows Agent 2.0 beta Recovery Media and see what I thought. Holy crap is the first thing that came to mind. I had created an empty VM and boot the ISO. Look what I saw first. Nice options. I look in Tools first – wouldn’t you? And look at the tools available! You can change the local admin password, or do memory test, and even fix boot problems. Very powerful. 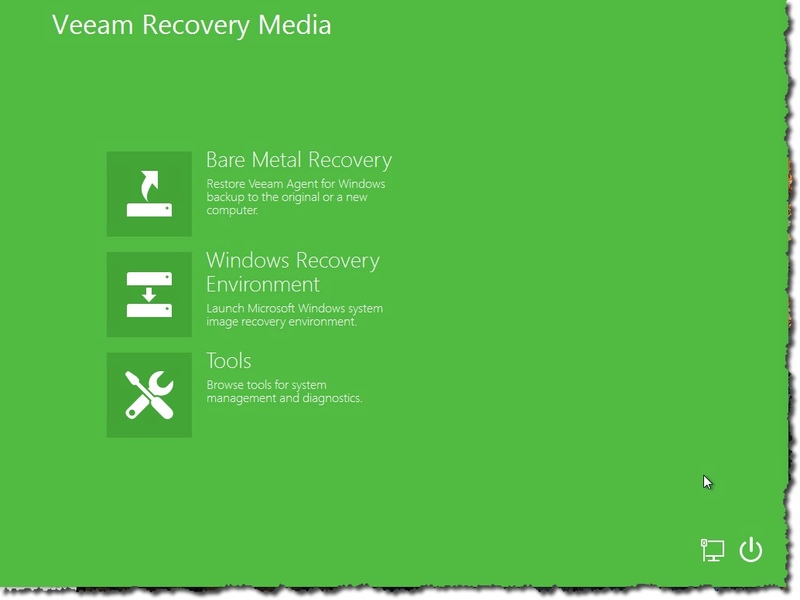 From the home screen, I select the Bare Metal Recovery option. So you can use local or network storage to recovery your machine – starting at bare metal. Nice. 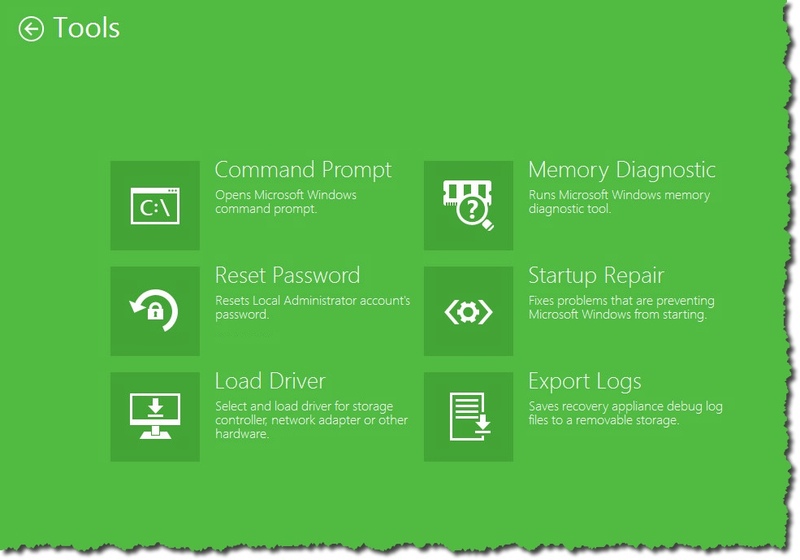 The Windows Recovery Environment from the home screen is a little different. This shows the message it does since this is an empty VM. Normally it would let you re – image your VM or physical machine. This is actually – for me – very impressive. When I look at the work I used to have to do to build this sort of CD, and how I did none of that work for this one, it is most impressive. And there are some very good tools too. If you are participating in our beta, make sure you check out the Recovery Media. Very powerful and handy too. I should think after you play with it, it might end up in some tool boxes! 2/1/17 – When you build the ISO, it will incorporate your Wifi and Wired if they are enabled / working, and you can add other drivers if you need to. This would be a way you could have an ISO that supports multiple types of physical machine. 1/26/17 – So the disk I had works fine on any virtual machine, but it gave an error on my old laptop (something about 32-bit didn’t support EFI boot). I was reminded that the recovery disk is made for a hardware platform. In the virtual mode not a big deal but in physical a good thing to remember. BTW, it is a really old laptop and even 32-bit but it works great with the recovery media made for it. This is amazing stuff. Great post, Michael. 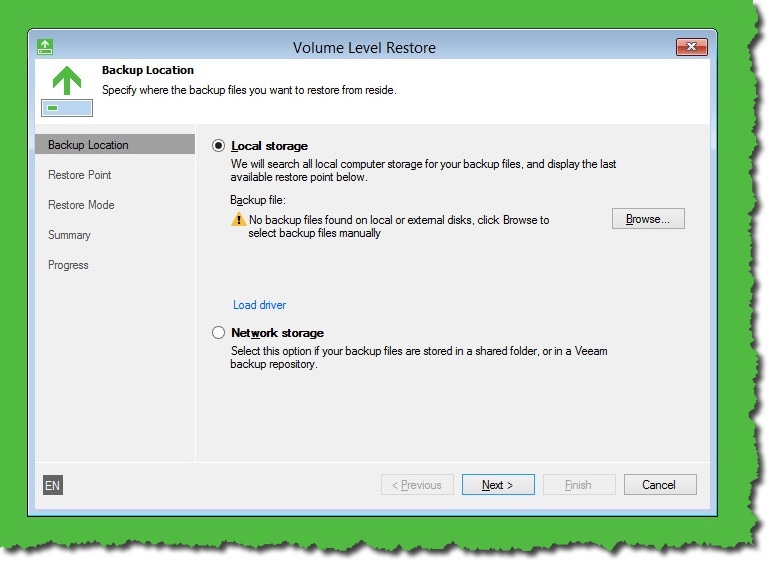 I have personally used the Veeam boot disc to repair a system with those tools and had nothing to do with Veeam, so very powerful stuff, and very valuable even if you DON’T need to restore a Veeam endpoint. Thanks Chip, and yes, I agree, the tools on that disk are pretty handy and useful.